Next Coast Ventures co-founder Michael Smerklo will be moderating a panel on digital native disruption featuring EverlyWell CEO Julia Cheek during this year's SXSW conference. The panel will focus on how the rise of digital consumers has upended many industries that were previously dominated by brick and mortar. Julia discusses what the audience can expect from the panel and how EverlyWell, a Next Coast portfolio company, has come so far since last year's SXSW conference. EverlyWell has had a huge year since your last SXSW appearance in 2017, why do you think your company has had such good traction? The reason why EverlyWell has resonated with consumers so quickly is because we took a consumer-first strategy, not a healthcare strategy. How do you take models that have worked in other areas and radically transform an individual’s healthcare experience? It’s driven by a combination of consumer demand, and frankly, building a platform that people didn’t even know they needed. We focus on e-commerce, digital as a delivery platform for lab tests and end-to-end consumer, and overlay that with the healthcare value proposition. The SXSW panel is all about digital natives overhauling industries and healthcare is an industry that hasn’t quite experienced this yet, how did you paint the picture to investors? Honestly, a lot of VCs rejected the investment when we were pre-revenue - it was hard to demonstrate real traction for very new model. I raised money from angel investors, and that was the money we used to launch the platform in beta. It’s a hard to raise money on a radical new concept, I’m really grateful that there were people that believed in the idea. Many VCs are, by design, quite risk averse and they have certain metrics that they’re looking for. They told me it was a cool idea, but nobody was going to buy the product because there were no companies doing it at this stage. But we’ve created the space. Now, 12 months later, it’s a very different story because our sales are verification that there is a huge market opportunity here. Note: Next Coast Ventures invested in EverlyWell's latest round of funding. What about millennials makes this self-testing product especially attractive to them? Technology is radically changing the healthcare community in this country - look at the recent announcements from Apple, Amazon, etc. I think that’s due to a couple of factors. The economics of healthcare have radically changed, you’re no longer getting great quality healthcare that’s being paid for by your employer. There is also a self-care and wellness movement that is really targeted at the millennial generation. Now, the movement is driving people to use their disposable income on services that would have been doctor-focused in the past but are now consumer education-focused like 23andMe, Fitbit and lab testing like EverlyWell. As you have adapted your marketing strategy, what has been the biggest surprise in growing your brand? What surprised me was the purchasing behavior on digital platforms mimics non-digital behavior. The majority of healthcare spending on a family unit is managed by females, and our strongest customer base is females purchasing for their families. Typically, our main customer base is the older millennial, mainly women over the age of thirty. Another surprise was how powerful social advertising has been as a platform for us. Women refer the product, tag it on social platforms and suggest it to their friends. Online reviews and customer referrals are the new gold standard for consumer brands to build a reputation. Does being an online-only platform inhibit your ability to build customer loyalty? This was a hard product to sell without education. Less than five percent of Americans know that the home lab testing market exists, so there’s a huge lack of mass-market education. We still have a lot of education work to do whether that’s through home marketing or brick and mortar. Right now, I think that we’re at the tip of the iceberg, because although digital natives do most of their shopping online, you need to hit them through multiple points - exposing them to the brand several times as they consider the purchase. So eventually, to build broader brand awareness, you need to think about other mediums like retail to amplify the digital platform. Where do you see your relationship with the healthcare industry going? EverlyWell's women's health testing kit. I think the consumer-driven healthcare marker is a huge hockey stick phenomenon you’re already seeing across multiple health services, but it’s not separate from traditional medicine. Our testing becomes part of their traditional doctor visit, working in tandem with their usual healthcare habits. When we started, there was quite a bit of physician resistance, but now 30-40% of customers were actually referred to us by their own doctors. Our lab testing is often times more cost effective, and doctors know if you have to go all the way to the lab and pay out of pocket, many patients won’t do it. So they send patients to products like ours instead. Where do you look for feedback when evolving your digital marketing strategy? From consumers that’s all we do, all we do is look at our consumer feedback and build new partnerships, new platforms and new products. Our drivers are what our consumers tell us. It’s always been about conversion to generating sales. They’re paying a lot of money and you have tough critics so it’s really easy to see what’s working and what’s not. From potential investors, everybody has an opinion of why a certain idea is not going to work. If founders listened to everybody telling them why their companies won’t work, no one would start companies. You want to be thoughtful and intellectually honest, but you also want to hone your ability to identify which feedback is critical and right - and which feedback can be ignored. What has been the biggest lesson you’ve learned launching this company? What I’ve learned the most is that initial user acquisition and retention engagement is an incredibly detailed, data-driven process. If you are not optimizing day in and day out, and really growth hacking the platform, you’re toast. Our team is constantly evaluating those metrics and trying to quantify what does and doesn’t work, and it is a never-ending process that our team is committed to. That’s our secret weapon. 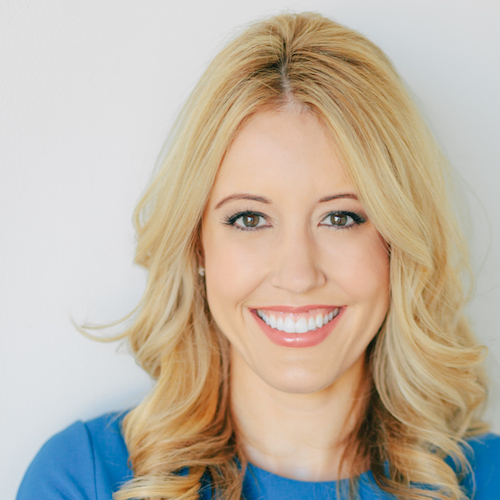 Julia is the CEO and Founder of EverlyWell, the Austin-based, next-generation health testing platform and Next Coast Ventures portfolio company. Julia was named the number one female entrepreneur to watch by CIO magazine for 2017. Prior to founding EverlyWell in 2015, Julia was the Vice President of Corporate Development and Strategy at MoneyGram International. Julia started her career in management consulting at Deloitte and went on to earn her MBA from the Harvard Business School, where she graduated as a Baker Scholar with high distinction. She also is a former multiple World Champion equestrian, officially retiring in 2009.